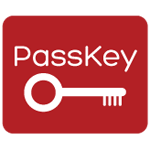 Use Passkey to access library resources, wherever you are. When you’re off-campus, connect to databases and journals that would otherwise be restricted or hidden behind paywalls through Passkey. Just drag the Passkey icon (below) to the top of your browser. Next time you hit a restricted website, click the Passkey icon. If the Library has a subscription to the resource you’re trying to access, you’ll then be prompted for your NetID. In Firefox, drag the icon to your bookmarks toolbar. In Chrome, drag the icon to the bookmark toolbar (the bookmarks toolbar needs to be visible, you can try ctrl-shift-b to enable it).